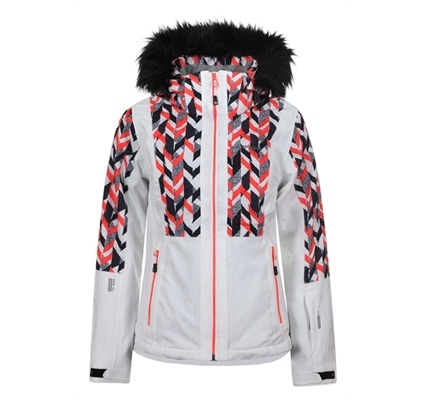 Icepeak Nancy is a woman's modern ski jacket of great quality. It is made of modern materials specially treated to be resistant to water and wind and provide you with protection against cold in severe winter weather conditions. 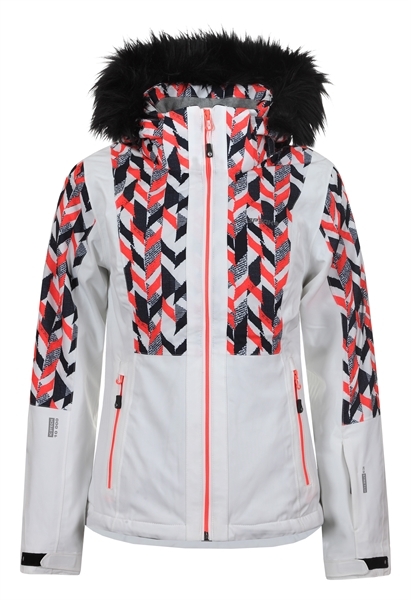 It has a hood for extra protection that is easily removed, as well as a lot of pockets to store things, there are also reflective details that make it easier to spot in the dark.